Do you know that women (particularly teenagers and young adults) play less regular sport than men? Do you know that a key factor driving this gender-gap is the fear of being judged? Back in 2015, Sport England initiated a great public health campaign to encourage women to become more active. 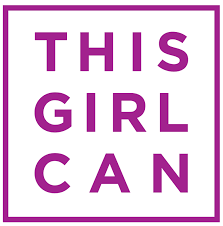 Called This Girl Can, the campaign uses videos and case studies to inspire women to beat their barriers and get involved. This Girl Can is becoming an international phenomenon, with localised versions of the campaign being launched in Australia (Girls make your move) and the Australian state of Victoria (This Girl Can – Victoria). If you are aware of initiatives in other countries we’d like to hear from you. This Girl Can is a great resource for physiotherapists to share with their patients.